As the crisp warm leaves fall from the trees and the kids begin to grow with excitement you start to feel the crisp autumn air set in. Bring the fresh, fun, fall atmosphere in to your home with the following tips on how to use pumpkins in your home design! Jack-o-lanterns add a spark to your autumn-inspired decor but this time, the faces and fancy carvings aren't necessary. Simply cut a hole in the top of a pumpkin, scoop out the insides, and place a candle inside the cavity to create a warm fall light. Try different sizes of pumpkins and surround them with gourds and other pumpkins to complete the arrangement. Don't put your empty planers away just because it’s fall. Turn a planter into a pedestal for a pumpkin to create a simple fall display outside. Transition pumpkins into late fall by adding pinecones to your displays. For a late-fall centerpiece, place a large pumpkin in a shallow basket and surround the base with pinecones. Add petite pumpkins to an existing display to dress it up for fall. Plain pumpkins work well, but if you want to add some extra flair, paint designs on the pumpkins in colors that match your décor. Traveling is always something everyone loves to do, but what do you do with your pictures when you're done? Here is a list of creative ideas of ways to display all your fun adventures! Get a quality print of the location you went to and frame them all nicely side by side. 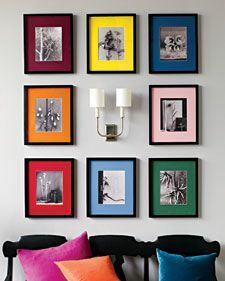 Or use multiple smaller images and hang them in their own frames to give your walls a unique look. Here are some helpful tips and ideas for your new years resolution plans that aren’t just only for your home, but for your life style as well! Probably the best and most profitable way to feel better about your home is to clear it of clutter. Either that means selling, donating, or throwing out unwanted and unused items. See our previous articles for better advise and more detailed tips. But think of this a purging all the bad and making room for the new and fun things in your life to come! Go room-by-room and think twice about what you bring in. Shrink your bills, that is, by reducing your carbon footprint you not only help the environment but your wallet as well. It can be as simple as remembering your mom's advice and switch off the lights when you leave a room. Or turning off your air conditioner when you leave the house and dial your heater down to 55 degrees at night. Try drying some of your clothes on the line and wait for the dishwasher or washing machine to be full before you run them. Also, as much of a pain that it is, but you can turn off your power strips and unplug any unused appliance that don’t need to be running 24/7. You will be surprised at how quickly all these little things add up and end up saving you a TON of cash! Learning even just one new thing is great for your health and to help get those projects done around the house. We recommend starting off simple for the first year, and only tackling 2-4 projects. Be sure you don’t start something new until you have finished the last project. I promise it is much more rewarding to finish something than it is to have a long list of to-do’s. Install Low-maintenance materials in your home everywhere you can. At first the cost might be over bearing, but once you realize the time and effort you will save just by spending a few extra bucks you will wonder why you didn’t do this before Fiber-cement siding lasts for 50 years or more. It’s weather-proof, and resists dents, fire, insects, and rot. But something on the easier side is LED bulbs which last a phenomenal 20,000 to 50,000 hours between changes, or about 18 to 46 years when used for 3 hours each day. Although the initial cost is high (about $40 per bulb), LED bulbs pay for themselves in energy savings in about 10 years. Or you can skip the fake hardwood floors and use a classic ceramic tile. It’s incredibly tough, stain-resistant, and impervious to moisture. You can count on ceramic tile’s good looks to last for decades on floors and walls without needing repair or replacement. Plus as an added perk you (usually) get a much better quality product and service from these items. As the crisp warm leaves fall from the trees and the kids begin to grow with excitement you start to feel the crisp autumn air set in. Bring the fresh, fun, autumn atmosphere in to your home with the following tips! 1. Dress up your front porch with corn stalks or straw to wrap around anything. Using thick colored ribbon in deep oranges to tie everything together. Carry these same materials into lanyards or garlands around your front door and entry. 2. Use your fireplace to showcase seasonal décor: Your fireplace mantel has been waiting for this season! Whether you look in your yard, or you travel to an arts and crafts store, dried leaves and pinecones make great décor. Small pumpkins, gourds or dried leaf vines, and colorful candles will brighten your mantle and spirits. 3. Include Autumnal Colors Combine autumn red or orange splashes with a neutral or contrasting base such as taupe, olive, or blue. Muted greens are fresh alternatives to bold warm colors. Throw Pillows, table accessories, and accent rugs are high-impact, low-investment places to start. 4. Find woodsy elements at your local farmers' market or your own backyard. Look for moss, grasses, and small branches. Fill interesting pots with any combination of them, or turn a bundle of twigs into a natural photo holder. 5. Depending on if you want to go formal or casual for your table, choose colors that reflect your home decor AND the season. Using red and yellow apples for an informal organic and edible centerpiece is pleasing to the eye. For more formal centerpiece design try adding a tablecloth that has hints of fall colors and themes. Small but unexpected details go a long way at the dinner table. 6. Fall decor can be visual but it also involves your other senses like smell. Pumpkin pies, cinnamon apple cider and fire wood scents are all warm and cozy smells. Try using candles, incensing, or boiling a pot of spices. Everyone's home has those pesky nooks and crannies that are hard to decorate. Often times awkward spaces are just left hanging about distracting the flow from the rest of the room. Here are some tips to make use of those floundering spaces. Place some plants there: buying some cute pots and planting some greenery to a corner will help to fill it up and add an interesting nature element to your space. Angle your TV: Angling your TV to block a corner will help unify the space by eliminating the corner and instead making the TV the focal point of the room. Create a reading nook: Add a cozy chair and small table to create a little corner perfect to curl up to with a book and a cup of coffee. Find a corner cabinet or table: This is the perfect solution to a confusing corner. These tables are perfectly angled for a corner that doesn't quite fit with the rest of a room. Lean a mirror or reclaimed signage against the corner: This will add a unique flair to the room and can really compliment other design elements as well. Freestanding shelves or a display cabinet: Shelves always work well in a corner and they are a great way to store extra containers or items in an alluring way. Corner play area: If you have children you can set up a fun play area in the space and make it feel like it is their own little world dedicated to all their toys and fun. A tall or over sized lamp: A lamp can be both charming and beneficial to a room by adding a design element and extra light. 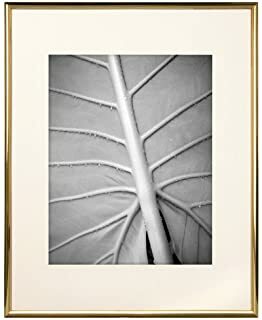 Wall art: Perfect for any lingering corner you can hang a series of photos or art pieces that you enjoy that will bring positive attention to a corner that you would usually ignore. Use picture hanging hooks instead of nails. Although nails may seem sturdier because they are heavier, the hooks go in the wall at an angle and are much more secure for picture hanging. Picture hangers are specifically made for hollow walls making it easier on any surface that is too weak to hold a nail or a screw. Buy the right type of hook for your arts weight. Use two hooks per artwork to provide security and help the art remain level. When dealing with drywall or plaster it is best to have a stud finder. This will help you find the wall studs in your wall and allow you to hang the artwork from the most secure spots to avoid wall damage. 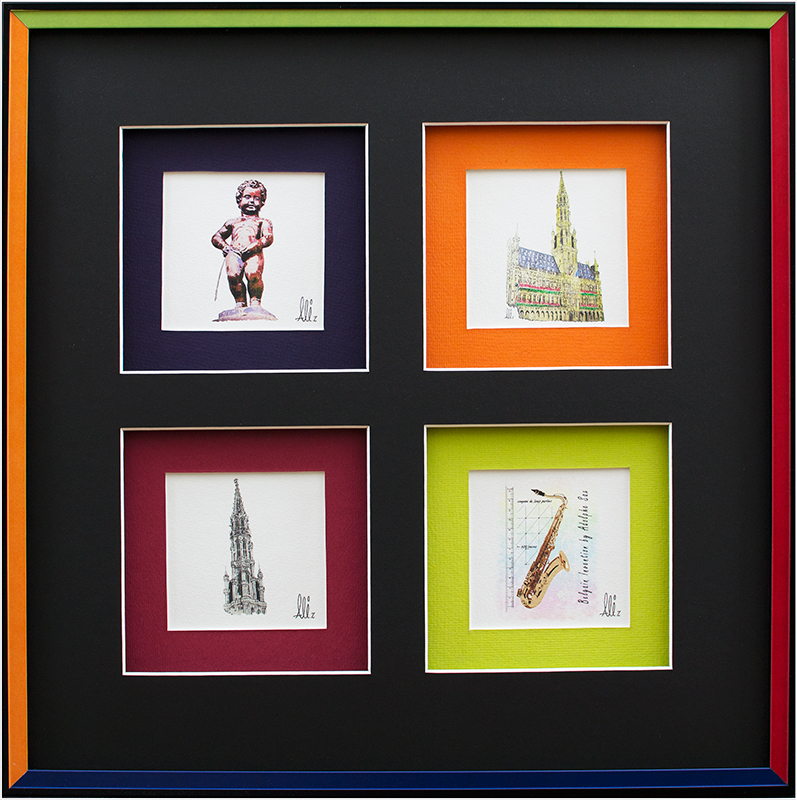 Wall studs are the wooden framings behind your wall; knowing where they are will stop you from hanging art in an unsteady section of your wall. You can buy electronic stud finders that beep or flash when identifying a spot containing wall studs. Prices range from $20 to $40 and can be found in most hardware stores. When hanging on plaster wall use a piece of scotch tape where you will hammer in the hook to prevent the plaster from crumbling. When dealing with wood or panel use wood screws. Wood screws are easy to install with a screw driver and stay in wood/paneling very strongly. If you are hanging something lightweight use adhesive strips and hooks to avoid any wall damage. Part is attached to the wall and the other part is attached to the picture. Line these two parts up and simply press the picture in place. If you want to take down the picture just pull the adhesive strips off the wall. Be careful though, for these strips hold a maximum weight of only eight pounds. When dealing with a heavier art piece use anchors that spread out behind the wall after inserting the screw. Installing nail or screw holes into the grooves of paneling make it harder to see them when they are removed.